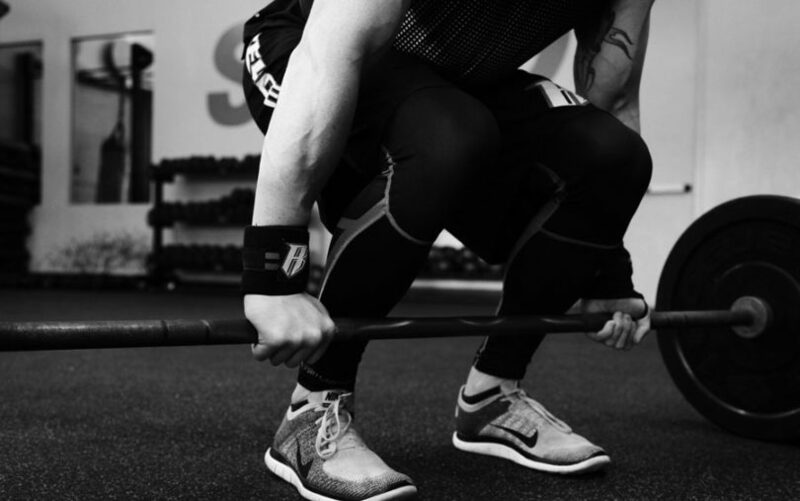 If you take your strength workouts seriously then barbell training is a must. You can’t seriously increase your strength just by using kettlebells or doing sprints. You need to get under a heavy barbell and do squats and presses until you puke. Or as close as you can come to puking without actually having to do so. Possibly the best exercise ever invented to increase strength and stability in your posterior chain is the deadlift. Unfortunately, this exercise can not be replicated without the use of barbells. If you seriously want to increase said posterior chain power, then you’re going to have to do deadlifts with a barbell. Squats using your bodyweight, dumbbells and machines are fine but they are not optimal. Not even a smith machine can quite get the job done. Again, you’re going to need to use a proper olympic barbell in order to build your length strength and power. 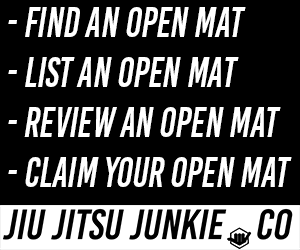 If your legs are weak and you’re having trouble projecting fast, explosive movements with them, then good luck with executing shoot takedowns and the like. Technique is important, of course, but the dirty truth is that so is strength. You need that strength to perform the techniques. If you’re not a fan of going to the gym, then lucky for you, olympic barbells are quite cost-effective and won’t wreck your wallet or purse. The barbell is possibly the most important and versatile pieces of equipment you can buy so once you’ve got your barbell there’s not that many more vital bits that you need to get to build your home gym. This is an excellent 5ft long barbell from the very reputable company, Titan Fitness. If size and weight is an issue for you then you’ll be glad to know that this barbell is two feet shorter than official barbells and 20 pounds lighter. This size difference does not detract from it’s functionality or durability; the bar can comfortably hold up 500 pounds of weight and is thick enough to easily accommodate olympic size plates with 2 inch diameter holes. The bar is made of heavy-duty steel with a stunning chrome finish and knurled handles on the grips to prevent your hands from slipping under heavy loads. There’s no set-up or maintenance required; the bar comes complete and ready to use immediately. If you’ve got the space and you want the real deal, then this full size olympic barbell from Body-Solid is a good choice. It’s 7 feet long and weighs 44 pounds/20kg, just like the barbells that are used in olympic training. It features 30mm diameter at the grip and 51.5” of usable/grip-able bar between the collars. You’ll be able to use standard plates from pretty much any vendor and have them fit perfectly on the bar. This bar can hold up to a weight of 600 pounds. There really aren’t that many people out there that will need their bar to handle more iron than that! It also comes with a choice of colour between sleek chrome or black. XMark use a black manganese phosphate coating on the shaft of the barbell which they claim is only used by the highest possible quality of barbell. This coating provides the trainee with improved grip and safety when actively using the barbell and also provides the bar itself with unbeatable corrosion and abrasion protection. Think of this barbell as a great long term investment into your health and training. The Lumberjack barbell has also been upgraded to include brass bushings that provide the perfect spin and improved durability. The smooth chromes sleeves on the end of the bar allow you to load and unload plates onto the bar without them getting stuck like they can on inferior bars. XMark have included a nice aesthetic touch by placing a stylish, green logo on the ends of the bar to make it stand out from the common and typical steel barbells out there. This is one for the big boys and girls. A bar for the veteran lifters that want to take their personal bests on squats, bench press, deadlifts, etc. and beat them in the comfort of their own home/home gym. This bar can handle a beastly 1200 pounds of iron before giving in! The bar is also olympic standard size and weights at 7 feet long, a weight of 20kg itself and the ability to accommodate olympic plates with a 2” hole. Most barbells come in the standard silver/chrome with the occasional company offering a black version or maybe even a darker grey. If you want your bars to have a bit of artistic flair to them, then CAP barbell have you covered. The all-chrome model is available but you can also choose a black bar with coloured accents, including vibrant colours like blue, green, cherry red and even a bubblegum pink. Titan Fitness are back on our list with a second barbell. The first was a smaller scale and lower weight model, but if you want that same excellent quality and terrific value barbell at a full size, then they also offer this 7 foot long version. This is a great barbell for a person who wants to being building their home gym, doesn’t want to break the bank but also doesn’t want to waste money on shoddy gear that will have to be replaced frequently. This bar will last you years; hard workouts day in and day out without busting or becoming deformed. It can also carry weights of up to 700 pounds so it’s unlikely that you’re going to ever need to replace it with a bar that can hold more. The olympic barbell is possibly the most important piece of strength training equipment you can be. The choices of workouts and exercises that you can perform with only a single barbell and some weight plates is astounding. This makes it a great initial purchase when deciding to workout at home.